Whether you’re moving to Vermont to live closer to family or because you desire a change of scenery, it’s important to choose the right mover to ensure a successful relocation. At Simonik Moving & Storage, we’ve been providing professional moving services for households moving from NJ to Vermont since our founding in 1977, as a BBB-accredited company, you can count on us for quality service from start to finish. 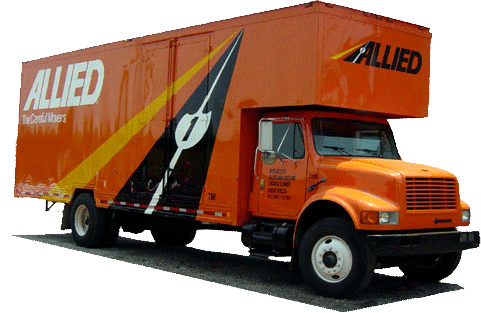 As an award-winning agent of Allied Van Lines, we are part of a nationwide network of hundreds of moving and storage professionals that can execute household moves from coast-to-coast. When your family is moving to Vermont to NJ, it’s important to choose a moving company that can manage all of your relocation needs—no matter the size or complexity. We’ll send one of our Simonik professionals to your home to discuss your needs and budget and provide a detailed estimate of moving costs. Then, we’ll assigned a talented Relocation Coordinator to answer any questions you have and help you navigate the entire moving process. We understand that it can take longer than anticipated for you to complete your New Jersey to Vermont move. If you’re not ready to receive your items at your new home, Simonik provides short- and long-term storage for household items for any length of time. We’ll pack your belongings in containers designed for long-distance shipping and store them in our secure warehouse facility. Simonik is a past recipient of the “Mover of the Year” award from the New Jersey Warehousemen & Movers Association, and we proudly service households throughout North and Central Jersey, including the counties of Hunterdon, Mercer, Middlesex, Monmouth, Morris, and Somerset. As a ProMover member of the American Moving & Storage Association, our team stays up-to-date on the special requirements associated with conducting long-distance moves to ensure that your NJ to Vermont move is executed with precision and care. When you select Simonik Moving & Storage as your NJ to VT moving team, you can rest assured that your belongings will be picked up and delivered when promised. Call us today to learn more about our moving services, or fill out our convenient online form now to request a free, no-obligation moving estimate.